There are a lot of things I love about the Note 8, the screen is amazing, it's amazingly easy to hold in one hand for a phone with a 6.3-inch screen and it's a very smooth version of Android despite its Touchwiz roots... This will also be the first of an ongoing series of mini tech reviews, shorter reviews summarizing if I would get whatever product again... so here goes, would I get the Note 8 again and did I keep it for my daily life? For years I've been trying to eat healthy with self admitted terrible success... And this post is not to blame anyone, because honestly I have no one to blame but myself for my mostly poor eating habits. What this is about, is the frustration of eating "healthy"... At my most recent count I believe there is approximately twelve million different diets or ideas on how to "eat healthy"... about 3 times as many as there are actual food items in existence! For every food item it seems there is at least one diet, book or person saying it is good, and at least one saying it is not good...Or at least this is how it feels sometimes. This is going to be a new series on my blog of things that I am anticipating most. This could be products, movies, books and pretty much anything else that is coming out. First up, Uncharted 4: A Thief's End. 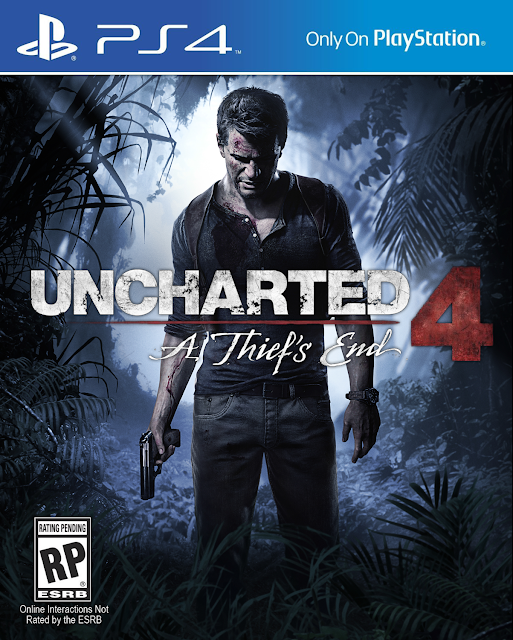 Uncharted 4 is the much anticipated Playstation 4 follow up to the Uncharted Series on Playstation 3. It appears that it will be faster, bigger and better than the greatness that was the first three games in this series. Using all the power of the PS4 to make it even more fun. This of course is based only on trailers and gameplay videos (doubt me, check out the video below), so only time will truly tell if they manage to fulfill the promise that they seem to be offering! I have a confession to make... I absolutely love Funko's Pop collection! I really want to buy them all and especially the Marvel series. Because of these feelings I have decided that I am going to begin reviewing them as an excuse to buy as many of them as I can. I'm going to start with the one that brought me into my current fascination with them, S.H.I.E.L.D - Agent Coulson. Anyone who has watched The Avengers or Marvel's Agents of S.H.I.E.L.D knows how awesome Agent Coulson is and his Pop bobblehead is no different. From his cool shades to his S.H.I.E.L.D suite, with name badge and tie of course, it's just a really neat little toy! If you want buy Agent Coulson, feel free to use my Amazon Affiliates Link. What toy collection have you found yourself unable to avoid buying?